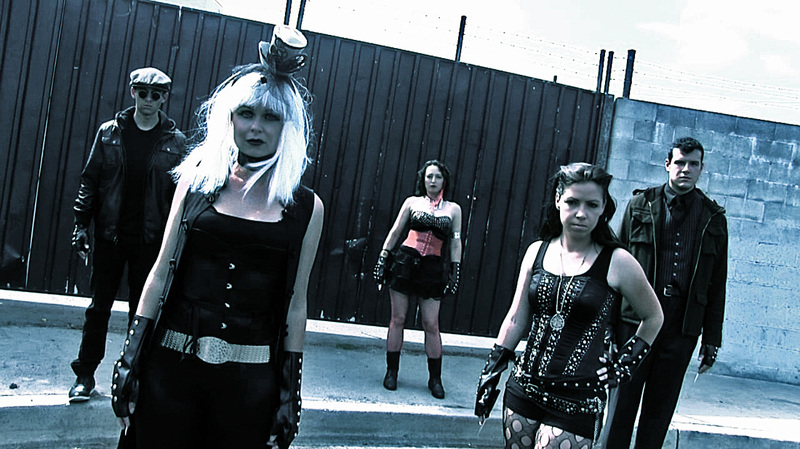 and behind the scenes footage! 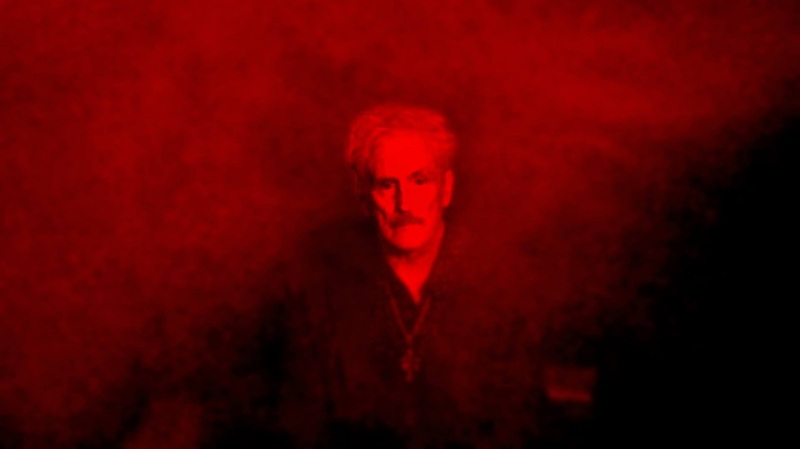 Hollinsworth Productions is excited to announce "Doctor Mabuse: Etiopomar," the exciting second chapter in the story of Dr. Mabuse. 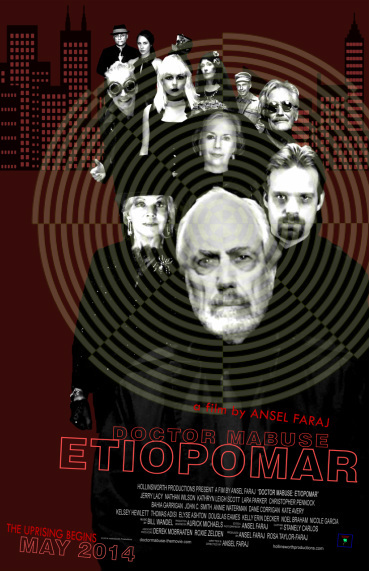 Two years have passed since Dr. Mabuse took control of a city, now christened 'Etiopomar'. 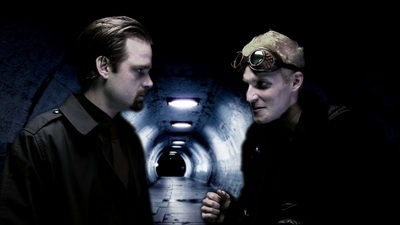 The city's inhabitants either fled, or stayed to live under the rule of his doctrine. 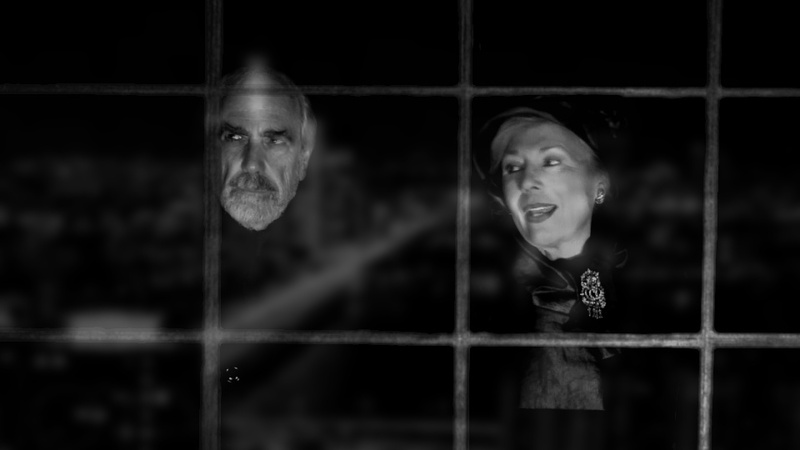 When his doctrine goes missing, the already suspicious Mabuse begins to attack anyone whom he feels may be working against him. 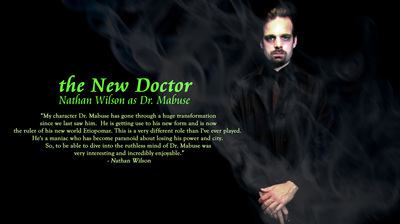 To further complicate his plans, a group of civilians have started to take matters into their own hands, working to try to take their city back from Dr. Mabuse. 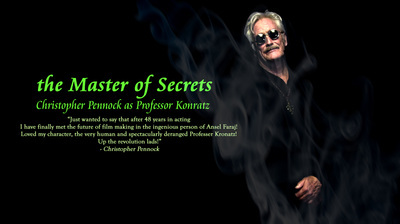 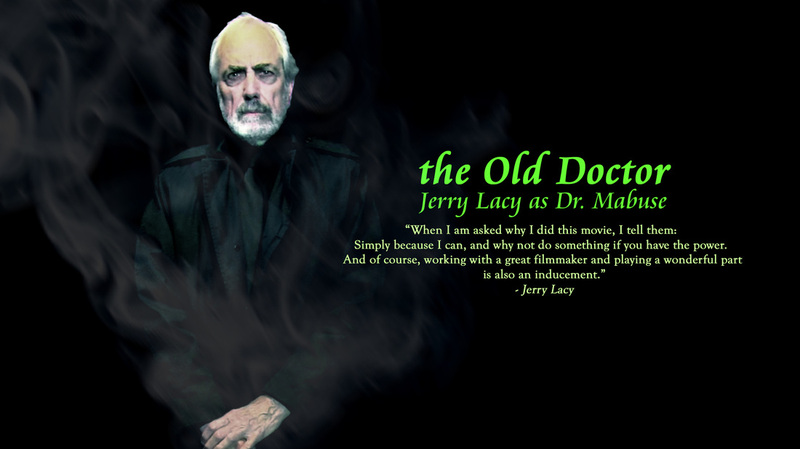 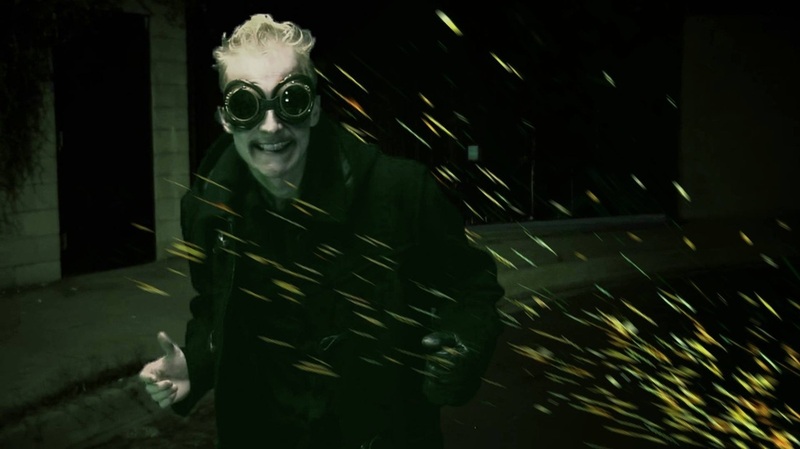 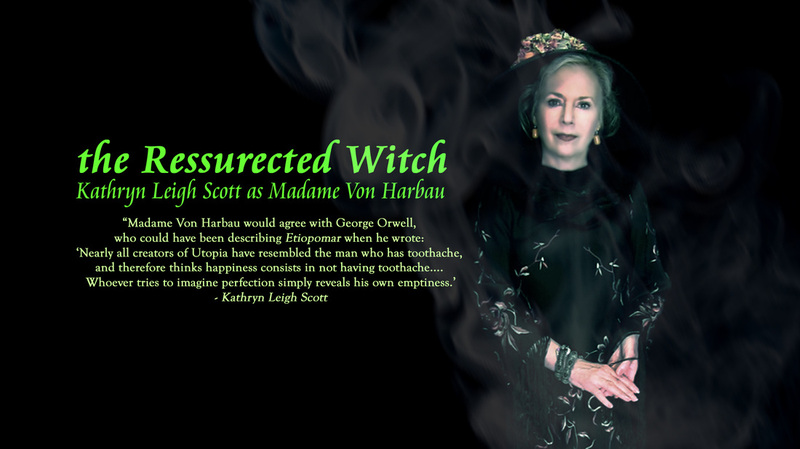 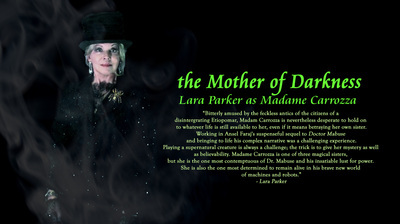 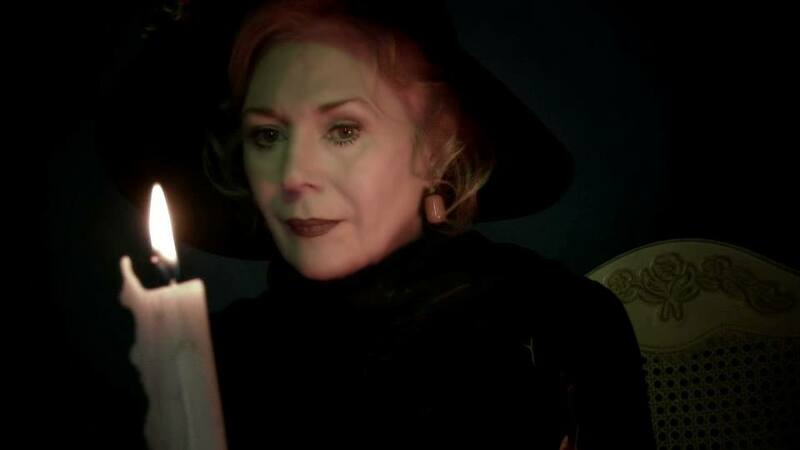 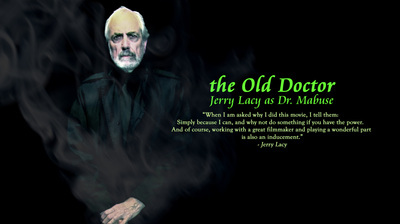 An epic Steampunk thriller, the film is headed by Dark Shadows alumni Jerry Lacy as the tyrant Dr. Mabuse, Kathryn Leigh Scott and Lara Parker as witchy sisters Madame Von Harbau and Madame Carrozza, and Christopher Pennock as new villain Professor Konratz. 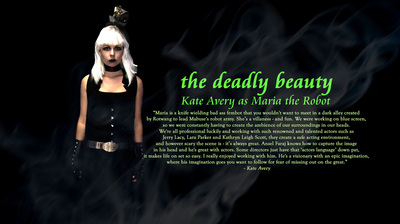 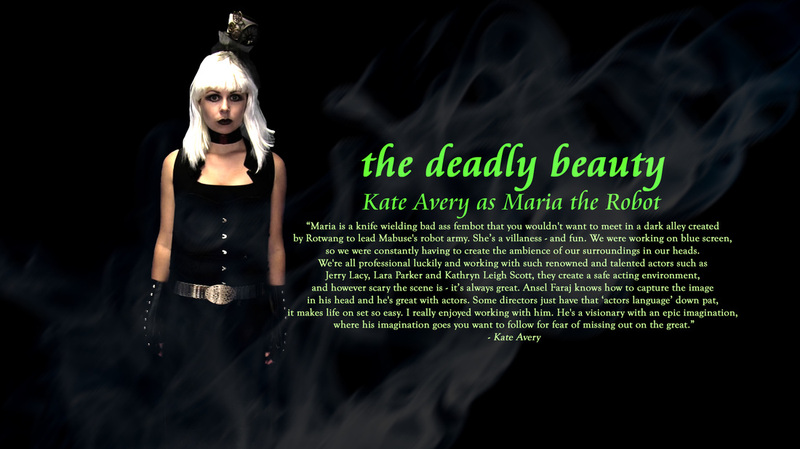 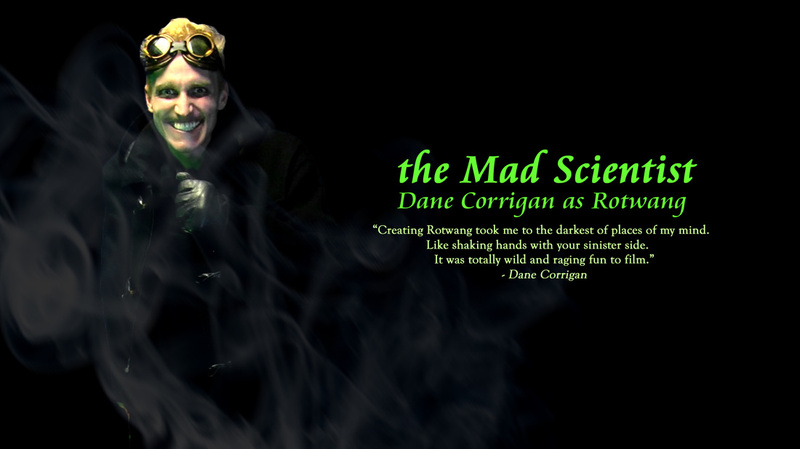 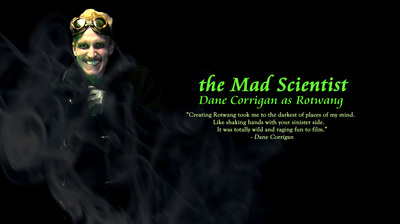 Also returning to the cast is Nathan Wilson as a younger incarnation of Dr. Mabuse, Bahia Garrigan as Christina Novello, John C. Smith as Cesare Krauss, and joining the cast are Dane Corrigan as the mad scientist Rotwang, and Kate Avery as the beautiful but lethal Maria the Robot. 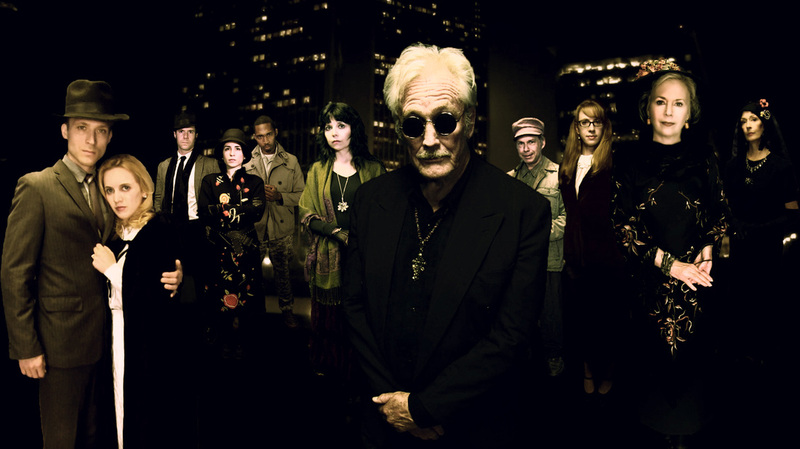 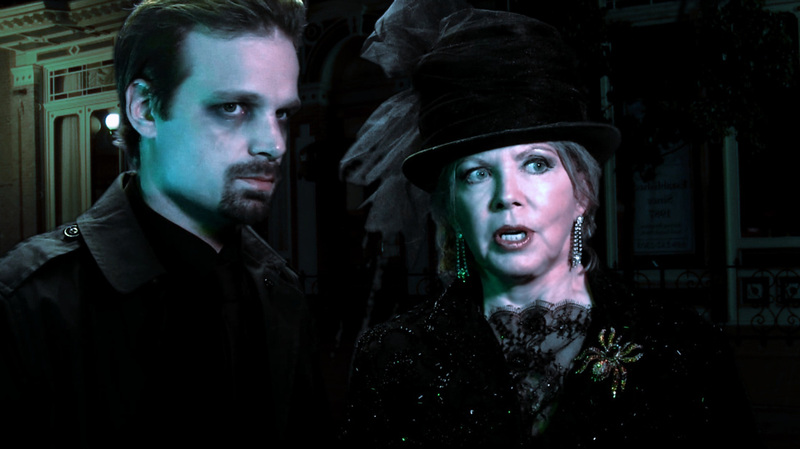 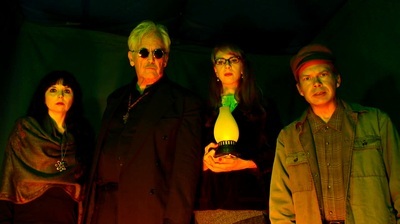 THE ESTABLISHMENT (From L to R): Jerry Lacy as Dr. Mabuse, Bahia Garrigan as Christina Novello, Dane Corrigan as Rotwang, John C. Smith as Cesare Krauss, Lara Parker as Madame Carrozza, and Nathan Wilson as Dr. Mabuse. 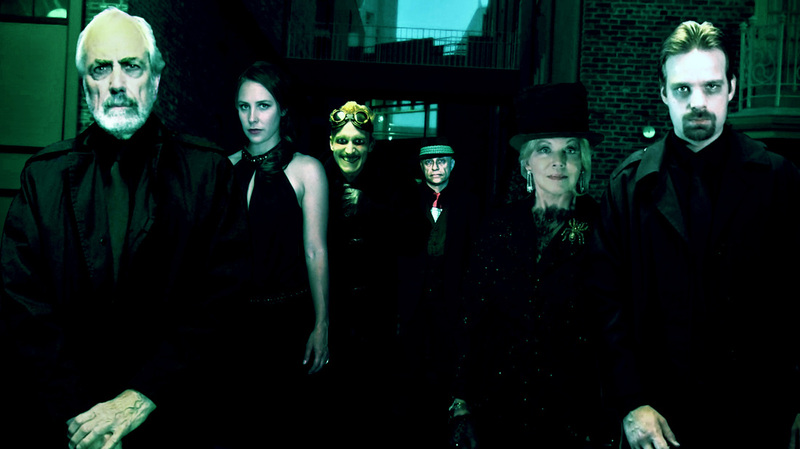 THE REBELLION (From L to R): Thomas Adisi as Michael Ulrich, Kelsey Hewlett as Lucy Ulrich, Jackson Gutierrez as Haddo, Nicole Garcia as Anna LaSoeur, Noel Braham as Joseph Rogue, Elyse Ashton as Teresa, Christopher Pennock as Professor Konratz, Douglas Eames as Stanton, Kelly Erin Decker as Gabelle, Kathryn Leigh Scott as Madame Von Harbau, and Annie Waterman as Madame Hecate. 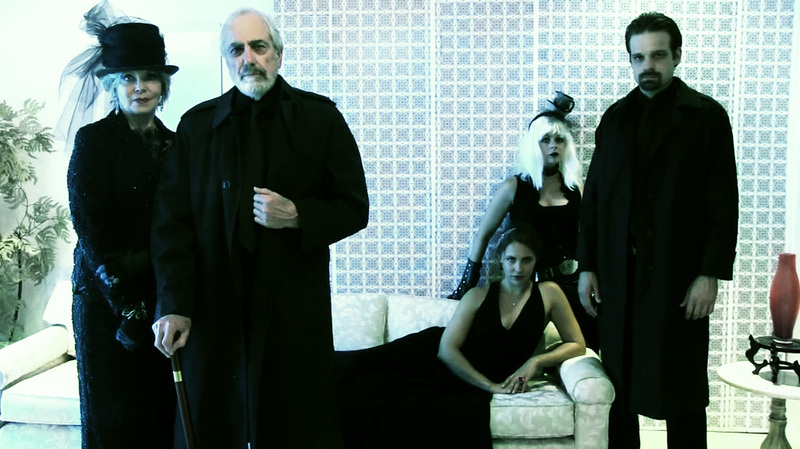 THE MACHINES (From L to R): Andrew Leighty as Rex, Kate Avery as Maria the Robot, Heather Savoy as Crimson, Jane Monroe as Kali, and Chris Tyler Link as Jacques.